Me and Jaz were at the mall baby shopping. "Isn&apos;t this adorable!!" She said holding up a onsie that said I have the world&apos;s greatest aunt. I shook my head yes. "What&apos;s wrong?" She asked. I looked down at my ring. I didn&apos;t take it off. 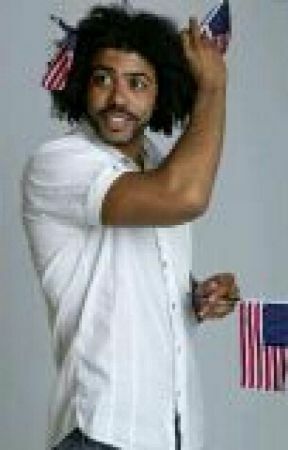 I love Daveed too much . "You&apos;re lying. What&apos;s up?" I looked at Jaz and then down at my ring again. "It&apos;s about Daveed isn&apos;t it? Ivy what&apos;s going on?" I started crying. She came over and hugged. "He cheated on me." I said between sobs. "Oh honey. I am sure there is an explanation." "I am sure there is but I don&apos;t want to hear it right now." I said walking towards jaz&apos;s car. "Who is the girl?" She asked getting into the car. "Oh my God. Not this girl again." "Well a couple of months ago, me and Anthony had grown very distant. So I guess Ariana decided she needed to fill my space." "Wow. Wait why were you and Anthony so distant?" "Come on I&apos;ll show you." She said pulling up to her apartment. I was a little confused but I just followed her up stairs. She opened a room door. On the other side of the door was a baby&apos;s nursery. It was blue and it had &apos;Jason&apos; written in grey letters on the wall. "At the beginning of the year, I found out I was pregnant. 4 months after that we lost the baby." "Oh Jaz I&apos;m so sorry." I said. "Yh well after that me and Anthony stopped talking and blamed each other for the baby&apos;s death. Please make up with Daveed, for your own good." I shook my head yes.